UNEP promotes environmentally sound practices globally and in its own activities. This publication is printed on fully recycled paper, FSC certified, post-consumer waste and chlorinefree. Inks are vegetable-based and coatings are water-based. UNEPâ&#x20AC;&#x2122;s distribution policy aims to reduce its carbon footprints. Preface amalgam fillings. Mercury as a compound is used in products such as batteries, paints, soaps and creams. In addition, mercury releases from artisanal and small-scale gold mining and coal combustion are supplemented by ones from metal smelters, chlor-alkali manufacturing and vinyl chloride monomer (VCM) production just to mention a few. The world is acting: many mercury-containing products are already being phased out, and processes using mercury are increasingly being converted to alternative technologies. This report speaks directly to governments involved in the development of the global treaty on mercury. It presents updates from the UNEP Global Mercury Assessment 2013 in short and punchy facts and figures backed by compelling graphics, that provide governments and civil society with the rationale and the imperative to act on this notorious pollutant. The report underlines the fact that mercury remains a major global, regional and national challenge in terms of threats to human health and the environment, especially but not uniquely to the health of pregnant woman and babies world-wide through the eating of contaminated fish for example or to marine mammals in places like the Arctic. It also underlines that the burden of disease in many ways is shifting towards developing countries such as those in areas of the world where a growing burning of coal is increasing emissions of mercury to the atmosphere. Small-scale gold mining is also aggravating the threat, in part fueled by increased extraction using mercury to meet rising demands as a result of a high global gold price. In the mid 2000â&#x20AC;&#x2122;s that price was around $420 an ounce whereas today it stands at around $1,700 an ounce. A global, legally binding treaty translated into national laws and supported by creative financing, can accelerate and scale-up such responses and put the planet and its people on track to a more sustainable world. The World Health Organization has concluded there are no safe limits in respect to mercury and its organic compounds and the impacts of mercury on human health have been known for centuries if not millennia. In 2009, the Governing Council of UNEP governments showed leadership and commitment by agreeing to negotiate a global, legally-binding treaty currently approaching the final stages of negotiation for completion in 2013. This treaty would catalyze and drive concerted international action on an environmental and human health issue brought to international recognition as a result of the infamous Minamata poisoning of fish and people in the middle of the 20th century. I am sure this report and its straight forward presentation of the vital and fundamental facts can assist governments to conclude the negotiations successfully and adopt a treaty to begin lifting a health and environmental threat from the lives of tens of millions of people, not to mention the generations to come. MERCURY-FREE We sometimes hear the term “mercury-free world” which seems a contradiction because mercury is an element. Thus, mercury always will be present. What can the international community do about this? – It is true that mercury, as an element, will always be present in our environment. Nonetheless, it is a pollutant of concern so our main aim is to reduce, and where feasible eliminate, anthropogenic emissions and releases of mercury. Over time, this will decrease the environmental load, and reduce the amount of mercury which is re-emitted. – While there will be mercury in the environment, whether it is considered to be a supply will depend on whether there is a demand. If there are still essential uses which require mercury, there will need to be a source of mercury. The aim of the international community is to reduce uses as viable alternatives to mercury become available. Over time, this will reduce the demand for mercury, cutting the market and the interest in mercury supply. Yes, mercury will always be with us and there is significant supply in circulation today. Thus, rather than to continue primary mining of mercury, we should be looking at the supply that is already in circulation for use until viable alternatives are found. The mercury that is obtained from decommissioned chlor-alkali plants and other processes or products as they are phased out and have no further use, should be moved immediately to environmentally sound disposal facilities. ARTISANAL AND SMALLSCALE GOLD MINING, LIGHT BULBS, AND PLASTICS The very good news is that all uses of mercury will continue to decline. But there are exceptions, such as mercury use in artisanal and small-scale gold mining (ASGM), in lighting manufacture and in the production of plastics that use vinyl chloride monomer (VCM). What can be done to reduce its use in these particular areas? – These three areas are notable as ones where challenges still exist in terms of the availability and accessibility to viable, cost-effective and efficient alternatives. ASGM is recognized as a major challenge – but not just in regard to mercury issues. There are a broad range of environmental and health challenges posed by this activity, including the role of the sector in socio-economic development. While taking into account the impacts on national development and poverty reduction, we must move to set national goals and reduction targets, and take action to eliminate the activities identified as being responsible for the greatest emissions and releases of mercury. Other actions should work towards formalization of the sector, which is a largely unregulated and an often unknown sector of work. This includes labour laws, which may serve to protect workers. UNINTENDED EMISSIONS – In relation to the use of mercury in some compact fluorescent lamps, at this stage, no affordable and available alternative is currently available at the global level. Nonetheless, we need to be working to phase these out and push the market towards alternatives. In the interim, it should also be noted that, where power is generated by coal combustion, the provision of energy efficient lighting can result in significant reductions in the emissions of mercury through decreased power consumption, which may (even with mercury-containing fluorescent lamps) result in a lower net mercury release or emission to the environment. The effects on the environment of mercury-containing products such as these lamps can also be minimized by the implementation of environmentally sound management of mercury-containing waste. Waste separation programmes and recycling activities are able to reduce the mercury made available to the environment from such products. About half of the global anthropogenic mercury emissions come from the burning of coal, metals production and the production of cement. What concrete mechanisms exist to address this? – The control of mercury emissions from major sources has been one of the key areas of discussion in the intergovernmental negotiations. Various mechanisms and approaches to reduce mercury emissions have been discussed and discussions continue on a variety of measures including the use of best available techniques and best environmental practices, the use of emission limit values, the establishment of national goals and the use of national implementation plans to set out action plans for managing emissions. It should also be recognized that many countries already have controls in place to reduce mercury emissions – either as stand-alone controls, or as part of a multipollutant strategy. CLEAN-UP OF CONTAMINATED SITES Once emitted or released, mercury persists in the environment where it circulates between air, water, sediments, soil and living creatures. It can travel long distances to areas far from any production or use, like the Arctic and Antarctic regions. Mercury levels are continuing to rise in some species in large areas of the Arctic, despite reductions in emissions from human activities over the past 15–30 years in some parts of the world. High exposure to mercury is a serious risk to humans worldwide through the food chain. Solving these problems could be costly, particularly related to remediation. Will this get sufficient attention and money in the next 20 years to fix? – One of the key approaches to addressing the issue of contaminated sites is to prevent their occurrence in the future. Many of the measures we are already putting in place and hope to increase, are working towards reducing emissions to air, water and land, by reducing the use of mercury in products and processes, and ensuring the sound management of mercury-containing waste. These measures are designed to reduce contamination of the environment, and thus to also reduce re-emissions in the future. Reduction and eventual elimination of primary mercury mining will also avoid contamination from these sites. It is very challenging, at this stage, to predict what the global situation will be over the next 20 years, and to say whether there will be adequate funding to completely solve the burden of many years of industrialized activity. However, I can say with some confidence, that should we succeed in properly implementing many of the measures currently in place and under discussion, we will be reducing the future burden of mercury pollution as well as its associated costs to humanity and the environment. HEALTH The global burden of diseases attributed to exposure to hazardous chemicals is already significant and is likely to become more serious. Infants, children and pregnant women are the most vulnerable to the health effects of mercury. What are the concrete measures to reduce health risks? – The global burden of disease related to mercury is well-recognized and is a major driving force for international action. Governments have recognized that mercury poses a global threat to human health and the environment. In considering this, it should be recognized that the greatest health risks from mercury arise from the consumption of fish with high levels of methyl mercury, particularly by members of vulnerable groups. The World Health Organization (WHO) has been closely involved in developing background information utilized in the negotiations, and has come out with policy papers on issues such as health risks associated with the use of mercury in, for example, dental amalgam and vaccines. I rely on their expert input in this regard. – International action is directly addressing the major health concerns through the reduction of emissions and releases to the environment. This includes reduction from point sources, and overall reductions seen with the decreased use of mercury-containing products, decreased use of processes utilizing mercury, sound waste management, and a structural approach to reducing the use of mercury in ASGM. These measures will reduce the mercury levels in fish as environmental levels go down. In some species of fish, this reduction may be seen quite quickly, while in other species, levels will decrease more slowly as a factor of their size, age and diet. However, much of the mercury emitted historically will continue to impact the environment for years to come. It is thus imperative that we act now to reduce future emissions and releases to the maximum extent possible in order to stop adding more to the global environment. Will you – let’s say 25 years from now – be able to look back and say ‘mission accomplished’ on mercury? – I am confident that through international legal action and through partnering with stakeholders, we will be able to produce significant decreases in environmental levels of mercury. In many ways, the mercury instrument has a flying start as there has been a long period of voluntary activities delivered through the United Nations Environment Programme (UNEP) Global Mercury Partnership, as well as actions taken domestically in a number of countries to address mercury pollution. Mercury is on the global radar and many of the controls required are minor adjustments to controls already implemented to address other pollutants. Many mercury-containing products already have viable alternatives, and we are likely to see a dramatically shrinking market for more of them within the next 10 years. Of course, there are changes which will only occur over time. I am proud of the work and dedication of the international community and am confident that in the future we will deliver measurable results for human health and the environment. Source: Adapted from presentation by Fernando Lugris at UNEP Chemicals debriefing 26 July 2012 and 4 December 2012, Geneva. "Outcomes of the 4th session of the Intergovernmental Negotiating Committee to prepare a global legally binding instrument on mercury". Designed by Zoï Environment Network / GRID-Arendal, December 2012. Minamata mercury events timeline The cause of Minamata Disease identified. Acetaldehyde and acetic acid manufacturing industry takes the first pollution reduction measures which later prove ineffective. Compensation issues start to be discussed. Japan's Environment Agency established; Certification Criteria for Acquired Minamata Disease published. Relief Act to compensate Minamata disease victims. A young girl at Minamata is hospitalised with syndrome of severe numbness of the limbs, inability to speak and inability to eat. Minamata Disease officially acknowledged. Special Relief Act for Minamata victims. Installation of dividing nets to contain polluted fish inside Minamata Bay. Dredging of 1.5 million cubic metres of mercury-contaminated bottom sediments. Outbreak of the same disease in Niigata Prefecture. Establishment of various social-economic and victims integration programmes. 2000 Establishment of Minamata Disease Museums in Minamata and Niigata. Comprehensive Programme to Address Minamata Disease introduced. Production of acetaldehyde stopped at Minamata. Source: Adapted from The lessons from Minamata Disease and Mercury Management in Japan, Ministry of Environment Japan, 2011. → http://www.env.go.jp/en/chemi/mercury/experience_of_japan.pdf Designed by Zoï Environment Network / GRID-Arendal, December 2012.
ment production, and through fuel extraction and the combustion of fossil fuels. Mercury has been used since antiquity. Archaeologists have recovered traces from Mayan tombs and from the remains of Islamic Spain (Bank, 2012). The first emperor of unified China is said to have died after ingesting mercury pills intended to give him eternal life (Asia History website). Metallic mercury is still used in some herbal and religious remedies in Latin America, Asia and Caribbean rituals (ATSDR, 1999). Mercury is a heavy, silvery-white metal which is liquid at room temperature and evaporates easily. Source: Adapted from USGS, Mercury Statistics and information, “Mineral Commodity Summaries”. Designed by Zoï Environment Network / GRID-Arendal, December 2012. Most of the world’s estimated 600,000 tonnes of mercury deposits are found in a handful of countries. Even now, mercury is commonplace in daily life. Electrical and electronic devices, switches (including thermostats) and relays, measuring and control equipment, energyefficient fluorescent light bulbs, batteries, mascara, skinlightening creams and other cosmetics which contain mercury, dental fillings and a host of other consumables are used across the globe. Food products obtained from fish, terrestrial mammals and other products such as rice can contain mercury. It is still widely used in health care equipment, where much of it is used for measuring, and in blood pressure devices and thermometers, although their use is declining. There are safe and cost-effective replacements for mercury for many health care applications and for pharmaceuticals, and goals have been set to phase out some mercury-containing devices altogether. For instance, the UNEP Mercury Products Partnership, a mechanism for delivery of immediate actions, has set the goal of reducing demand for mercury-containing fever thermometers and blood pressure devices by at least 70 per cent by 2017. Source: Adapted from UNEP, Global Mercury Assessment 2013: Sources, Emissions, Releases and Environmental Transport, 2013. Designed by ZoĂŻ Environment Network / GRID-Arendal, December 2012. Mercury use in ASGM was estimated by Mercury Watch at 1,400 tonnes in 2011. Mercury from stocks Mercury from chlor-alkali industry Recycled mercury Mining & by-product mercury Source: Adapted from UNEP, ‘Summary of Supply,Trade and Demand Information on Mercury’, 2006. → http://www.chem.unep.ch/mercury/PM-HgSupplyTradeDemand-Final-Nov2006-PMformat19Jan07.pdf Designed by Zoï Environment Network / GRID-Arendal, December 2012. 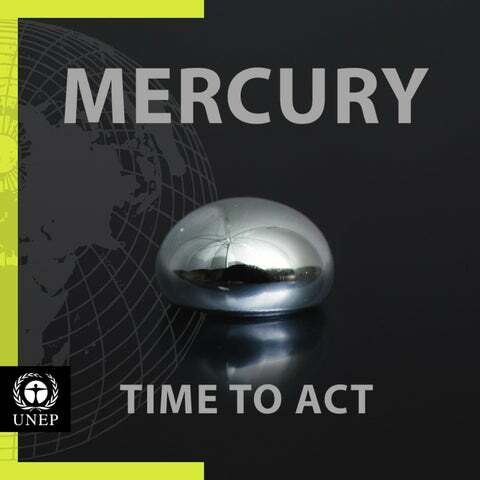 Global mercury demand is expected to decline in response to the treaty. eliminate mercury use. The Global Mercury Partnership promotes the establishment of national action plans and reduction targets, encourages collaboration and the sharing of best practices to reduce mercury use, and helps the take-up of innovative market-based approaches. The VCM industry, the basis for the large global production of polyvinyl chloride (PVC), used in plastics, is the second largest user of mercury, which is used as a catalyst in the production process. Most of this production occurs in China. About 800 tonnes of mercury are thought to have been used by this industry in China in 2012. Used mercury catalyst is recycled and reused by enterprises that hold permits for hazadous waste management in China. The amounts that may be emitted or released are not known (UNEP, 2013). Once a globally-binding treaty is in place, there is hope that global mercury demand will decline sharply as industries that use mercury in products and processes or release it to the environment will be required to meet the obligations set out in the instrument. ter becomes more biologically dangerous and eventually some mercury evaporates into the atmosphere. Once deposited in soils and sediments, the mercury changes its chemical form, largely through metabolism by bacteria or other microbes, and becomes methylmercury, the most dangerous form for human health and the environment. Methylmercury normally accounts for at least 90 per cent of the mercury in fish. Mercury can enter the food chain either from agricultural products or from seafood. It was widely used in agriculture, and at least 459 people are known to have died in Iraq after grain treated with a fungicide containing mercury was imported in 1971 and used to make flour (Greenwood, 1985). Those who showed the greatest effects were the children of women who had eaten contaminated bread during pregnancy. Though many of these acute cases are now in the past, agricultural products may still contain mercury. The Institute for Agriculture and Trade Policy in USA recently found that high fructose corn syrup (used in sodas, ketchup and bread) could also contain elevated mercury levels (Dufault et al., 2009). Another study suggested that in an area marked by intensive mercury mining and smelting and heavy coal-powered industry, rice crops could be contaminated (Zhang et al., 2010). Mercury can seriously harm human health. ** Emissions from contaminated sites. Source: Adapted from UNEP, Global Mercury Assessment 2013: Sources, Emissions, Releases and Environmental Transport, 2013. Designed by ZoĂŻ Environment Network / GRID-Arendal, December 2012. Emissions to air Source: Adapted from UNEP, Global Mercury Assessment 2013: Sources, Emissions, Releases and Environmental Transport, 2013. Designed by Zoï Environment Network / GRID-Arendal, December 2012. Intentional use sectors Source: Adapted from UNEP Study on mercury sources and emissions, and analysis of cost and effectiveness of control measures, 2010. Designed by Zoï Environment Network / GRID-Arendal, December 2012. Even deforestation can be a source of mercury emissions through extensive erosion and forest burning. way mercury is transported to the Arctic is by the atmosphere, which contributes slightly less than half. Oceanic transport, mainly from the Atlantic, makes up around 23 per cent, with a similar amount coming from coastal erosion. The remainder comes from rivers. Mercury reaches the Arctic on air currents within days, while on ocean currents it may take decades. The form in which mercury is released and the processes that change it from one chemical form to another are the key to determining its spread and fate. The aquatic environment is of critical importance to mercury pathways to humans and wildlife, because inorganic mercury in water is transformed into highly toxic methylmercury. About 100 tonnes are estimated to reach the Arctic Ocean by air annually, with about the same amount from the Atlantic and Pacific Oceans, rivers and erosion combined. Recent calculations suggest that the water in the Arctic Ocean accumulates about 25 tonnes of mercury a year (AMAP, 2011). Less is known about mercury dynamics and pathways in the ocean than in the atmosphere, but about 75-90 tonnes annually are thought to leave the Arctic in ocean outflow, with about 110 tonnes deposited in Arctic Ocean shelf and deep ocean sediments (AMAP, 2011). Artisanal and smallscale gold mining and coal burning are the largest anthropogenic sources of emissions. Mercury residues from mining and industrial processing, as well as mercury in waste, have resulted in a large number of contaminated sites all over the world. Polluted soil can contain as much as 400 grammes of mercury per hectare, as measured at a Venezuelan gold mining site (Garcia-Sanchez et al., 2006). Most mercury contamination sites are concentrated in the industrial areas of North America, Europe and Asia; and in sub-Saharan Africa and South America. In contrast to Europe and North America, the number and extent of mercurycontaminated sites in other parts of the world is increasing because of the rising use of mercury (Kocman et al., 2011). Safe storage of mercury-containing waste and rehabilitation of various hotspots is needed. Air pollution control technologies in industrial facilities remove mercury that would otherwise be emitted to the air, but there is little information about the ultimate fate of the mercury captured in this way or about how the mercury-containing wastes are subsequently disposed of. However, it is likely that these control technologies will reduce the amount of mercury that is transported globally by air. But the mercury captured by filters will be disposed of in the area where it originated. While the atmosphere responds relatively quickly to changes in mercury emissions, the large reservoirs of mercury in soils and oceans mean that there will be a long time lag (in the order of tens of decades) before reductions in mercury inputs are reflected in depleted concentrations in these media and in the wildlife taking up mercury from them. Efforts to confront the threat posed by mercury to human health and the environment have grown over the last decades. There are a number of initiatives aiming, for example, to reduce the use of mercury in products, to remediate sites and to clean up historic pollution. Some countries have introduced far-reaching regulations. Global action, however, has been rather limited. Source: Adapted from European Commission, Directorate General for Environment, 2004, Brussels. Designed by Zoï Environment Network / GRID-Arendal, December 2012. Forty-two mercury-based chlorine plants remain to be voluntarily phased out or converted to non-mercury technology by 2020 at a cost of more than € 3,000 million. These plants account for an ever-decreasing part (31.8% in 2010) of European chlor-alkali capacity (Euro Chlor website). The UNEP Global Mercury Partnership estimates that some 100 facilities in 43 nations today use mercury in the chloralkali industry. The European chlor-alkali industry, producing chlorine and caustic soda from salt, has committed to the closure or conversion of its mercury-based plants by 2020. While agreeing to phase out mercury by 2020, the European chlor-alkali producers are actively engaged in the application of best practices when handling mercury during normal operation and during conversion to other technologies. In 2010, emissions for all mercury cells across Western Europe reached an all-time low of 0.88 grammes per tonne of chlorine capacity. Source: Adapted from WCC Hg reporting to the Chlor-Alkali Partnership, 2012. 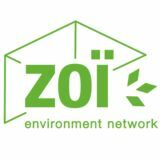 Designed by Zoï Environment Network / GRID-Arendal, December 2012.
reduction will be achieved through the new Industrial Emissions Directive adopted in 2010, however, specific reduction or control requirements of mercury may still be required. technologies exist: chemical transformation into a more stable, less mobile chemical compound; micro-encapsulation, the embedding of particles in an impermeable matrix such as cement; and macro-encapsulation, the covering of waste material with an impermeable material, for example polyethylene. The fact that stabilized mercury is non-toxic significantly helps the search for suitable storage sites. Unlike liquid mercury, the stabilized form is suitable for storage in landfills and underground. Mercury storage and disposal is a growing problem. The global trend towards phasing out products which contain mercury and processes which use it will soon generate an excess of mercury if supplies remain at their current level. Environmentally sound management of mercury waste will be a critical issue for most countries. There are some good examples. But in the Latin American and Caribbean region, mercury supply may exceed demand by 2013. In 2012, UNEP helped Argentina and Uruguay to find environmentally sound solutions for the storage and disposal of excess mercury, including identifying existing hazardous waste facilities that could serve as temporary storage and identifying relevant regulatory frameworks. Both countries developed National Action Plans for the environmentally sound management of mercury and mercury wastes. Acting now … Substitutes for mercury in products and mercury processes are available, cost-effective and safe. Waste management and stabilization processes can make mercury storage safe and effective. Control technologies can capture emissions. Society has the ability to make significant reductions in anthropogenic emissions and releases of mercury without compromising development and people’s livelihoods. The reduction and eventual elimination of mercury as a commodity is not only desirable but possible. Actions we need Once emitted or released, mercury persists in the environment where it circulates between air, water, sediments, soil and living creatures. It can travel long distances to areas far from any production or use. Therefore actions need to be taken at the source whenever possible. Reduce supply Stop primary mining as soon as possible and satisfy remaining demand by recycling. The demand for mercury for use in products and processes in the transition towards mercury free products and processes should be met preferentially from mercury reuse and recycling. Reduce demand Viable, safe and commercial alternatives are available for almost all uses of mercury. Take actions that promote the transition to mercury-free alternatives in product and processes. If it is not yet possible, reduce content of mercury in products. Move to non-mercury technologies in the chlor-alkali and vinyl chloride monomer (VCM) sectors. Manage continuing use While mercury-added products remain in production and use, those products must be managed to avoid mercury releases. Dispose properly Mercury not needed for remaining uses needs to be disposed of by environmentally sound means. Products containing or contaminated by mercury should also be managed in an environmentally sound way as they are turned into waste. Reduce unintentional emissions and releases Mercury occurs as a trace contaminant in fossil fuel, metal ores and limestones used by industry. Therefore, industrial processes need to be optimized to reduce or eliminate mercury emissions and releases. Raw material selection and processing combined with existing air pollution control devices may provide costeffective reductions of mercury emissions. Mercury captured by control technologies and mercury containing waste streams need to be managed in an environmentally sound manner. Who needs to act? Governments: Ensure regulatory frameworks that promote the transition to mercury-free products, and investment in best available techniques by industries continuing to use or release mercury. Industries: Invest in cleaner and more effective techniques that do not require mercury, resulting in improved control of releases of mercury and other pollutants. Invest in and commercialize alternatives to mercury-added products. Many substitutes for mercury in products and mercury processes are available, costeffective and safe. Intergovernmental organizations and nongovernmental organizations: Support governments in their efforts through the provision of technical assistance, capacity-building and mobilization of resources. You too, can act: Be aware that exposure to mercury occurs principally through food chain and that foetuses, infants, children, and pregnant women are the most susceptible to mercury exposure. Look for and use mercury-free products. Take care when disposing of mercury-containing products and ask your local authorities to provide facilities for proper disposal. References AMAP (2011). Assessment 2011: Mercury in the Arctic. Arctic Monitoring and Assessment Programme (AMAP), Oslo, Norway. pp xiv + 193.
mental Risks. (Available http://ec.europa.eu/health/scientific_committees/environmental_risks/docs/scher_o_124.pdf ). ATSDR (1999). Toxicological Profile for Mercury. Agency for Toxic Substances and Disease Registry U.S. Department of Health and Human Services (Available from http://www.atsdr.cdc.gov/toxprofiles/tp46-c1.pdf). European Commission (2004). Mercury Flows in Europe and the Worlds: the Impacts of Decommissioned Chlor-Alkali Plants. Concorde. (Available from http://ec.europa.eu/environment/chemicals/ mercury/pdf/report.pdf.). Asia History website (Available from http://asianhistory.about.com). Euro Chlor website (Available from http://www.eurochlor.org). Bank, M. S. (2012). Mercury in the Environment. Pattern and Process, University of California Press. Boucher, O., Jacobson, S. W., Plusquellec, P., Dewailly, E., Ayotte, P., Forget-Dubois, N., Jacobson, J. L., Muckle, G. (2010). Prenatal methylmercury, postnatal lead exposure, and evidence of attention deficit/ hyperactivity disorder among Inuit children in Arctic Québec. Environmental Health Perspectives, Vol. 120: 10, 1456–61. Garcia-Sanchez, A., Contreras, F., Adams, M., Santos, F. (2006). Atmospheric mercury emissions from polluted gold mining areas (Venezuela). Environ Geochem Health 28, 529–540. Dufault, D., LeBlanc, B., Schnoll, R., Cornett, C., Schweitzer, L., Wallinga, D., Hightower, J., Patrick, L., Lukiw, W. J. (2009). Mercury from chlor-alkali plants: measured concentrations in food product sugar. Environmental Helath, 8:2. Greenwood, M. R. (1985). Methylmercury poisoning in Iraq. An epidemiological study of the 1971–1972 outbreak. Journal of Applied Toxicology 5: 3, 148–159. EINAP website (Available from http://www.einap.org). Horvat, M., Kocman, D., Pirrone, N., Cinnirella, S. (2011). Contribution of contaminated sites to the global mercury budget. Presentation at the 3rd session of the Intergovernmental Negotiating Committee on a Hg instrument Nairobi, 2nd November, 2011. FAO (2010). The State of World Fisheries and Aquaculture 2010. Food and Agriculture Organization of the United Nations, Fisheries and Aquaculture department. Rome, Italy. McKelvey, W., Oken, E. (2012). Mercury and Public Health: An Assessment of Human Exposure. Mercury in the Environment: Pattern and Process by Michael Bank, Chapter 13. UNEP Global Mercury Partnership (Available from http://www.unep. org/hazardoussubstances/Mercury/GlobalMercuryPartnership/tabid/1253/Default.aspx). Tian, W., Egeland, G.M., Sobol, I., Chan, H.M. (2011). Mercury hair concentrations and dietary exposure among Inuit preschool children in Nunavut, Canada. Environment International, 37:42-48. UNEP-WHO (2008). Guidelines for Identifying Populations at Risk from Mercury Exposure. UNEP´s Division of Technology, Industry and Economics (DTIE) Chemical Branch, the World Health Organization Department of Food Safety, Zoonoses and Foodborne Diseases. UNEP (2006). Summary of supply, trade and demand information on mercury. United Nations Environment Programme. UNEP´s Division of Technology, Industry and Economics (DTIE) Chemical Branch. Geneva, Switzerland. UNEP (2010). Study on mercury sources and emissions, and analysis of cost and effectiveness of control measures “UNEP Paragraph 29 study”. Division of Technology, Industry and Economics (DTIE), Chemicals Branch, Geneva, Switzerland. UNEP (2012). A Practical Guide: Reducing Mercury Use in Artisanal and Small-Scale Gold Mining. United Nations Environment Programme, Global Mercury Partnership. UNEP (2013). Global Mercury Assessment 2013 Sources, Emissions, Releases and Environmental Transport. United Nations Environment Programme, report in draft. United States Environmental Protection Agency (US EPA) (Available from http://www.epa.gov/hg/regs.htm). USGS (2012). Mineral Commodity Summary. United States Geological Service. (Available from http://minerals.usgs.gov/minerals/pubs/ commodity/mercury/mcs-2012-mercu.pdf ). WHO (1998). Summary and Conclusions: Joint FAO/WHO Expert Committee on Food Additives. Presented at the 51st meeting. World Health Organization. Zhang, H., Feng, X., Larssen, T., Qiu, G., Vogt, R. D. (2010). In inland China, rice, rather than fish, is the major pathway for methylmercury exposure. Environmental Health Perspective, 118: 9, 1183– 1188. The Global Mercury Partnership Mercury partnerships were initiated through UNEP in 2005 to take immediate actions to reduce risks to human health and the environment from the release of mercury and its compounds to the environment. The Global Mercury Partnership was formalized in 2008 through the development of the Overarching Framework that governs the UNEP Global Mercury Partnership. •	Reducing mercury in artisanal and small-scale gold mining (ASGM). •	Mercury cell chlor-alkali production. •	Mercury air transport and fate research. •	Mercury-containing products. •	Mercury releases from coal combustion. •	Mercury waste management. •	Mercury supply and storage. •	Mercury releases from cement industry. •	Development of guidance materials, including: •	ASGM: (i) Reducing Mercury Use in ASGM: A Practical Guide (2012). (ii) Analysis of formalization approaches in the ASGM sector based on national experiences in Ecuador, Mongolia, Peru, Tanzania and Uganda (2012). (iii) Guidance Document on developing a National Strategic Plan to reduce mercury use in ASGM. •	Provision of assistance in the finalization of the “Basel Convention Technical Guidelines on Environmentally Sound Management of Wastes Consisting of Elemental Mercury and Wastes Containing and Contaminated with Mercury”. •	Good Practices for Management of Mercury Releases from Waste. •	Process Optimisation Guidance (POG) prepared for mercury control at coal-fired facilities outlining how changes in plant performance and efficiency can reduce emissions of all pollutants in an effective and economic manner. An interactive calculation tool (iPOG) based on the POG has been developed, that allows users to provide coal and plant specific data to study mercury behaviour on a plant by plant basis. •	Economics of Conversion in the chlor-alkali sector. •	Mercury Regional Storage projects undertaken in Asia-Pacific and Latin America developed assessment reports on projected excess mercury supply and studied various options which governments could use in the management of excess supply. •	Support for the development of sectoral inventories for chloralkali and ASGM. •	Supporting the Government of the Kyrgyz Republic to transition away from primary mercury mining, as it is the last exporting primary mercury mine globally. •	Expanding the previous knowledge base on coal, by developing new information from China, India, South Africa and Russia – four developing and transition economy countries that are among the most significant users of coal in power generation. •	Products/emissions inventories and risk management plans in Latin America (Chile, Ecuador, Peru), Mongolia and South Africa. •	The development of the Global Mercury Observation System (GMOS) in support of the evaluation of the effectiveness of international control measures. As of December 2012, there were 116 official partners in the Global Mercury Partnership, including 25 governments, 5 intergovernmental organizations, 46 non-government organizations, and 40 others. Some of the partners are global associations that represent industry sectors or global civil society consortia. These represent a large number of national associations that extend the reach of the Partnership. In addition, the Partnership works with a number of stakeholders that have not yet officially joined.